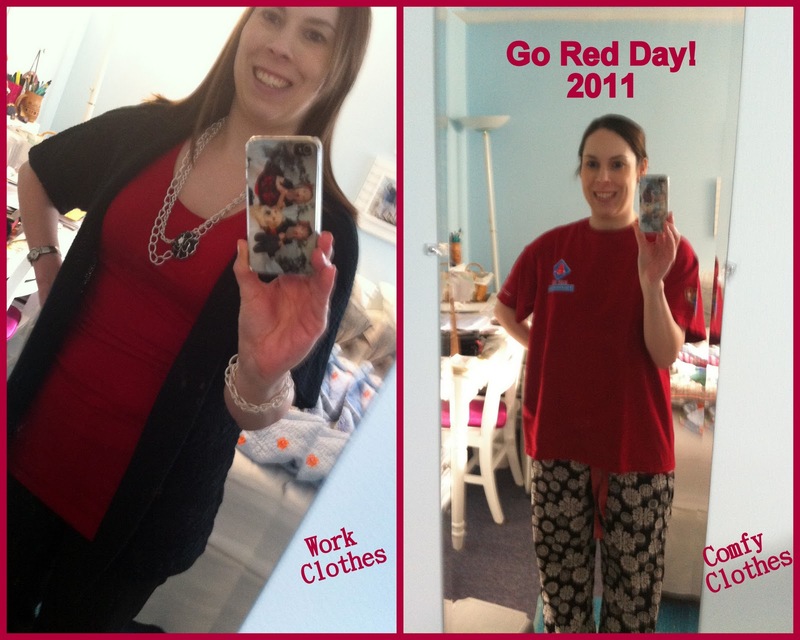 Jodi Bean's Blog: Fundraising Fridays and RED! That is how much I have raised so far. . . A.M.A.Z.I.N.G! Fundraising is hard. It means asking people you know to give you money. Well not really to give it to you but to whatever the organization is you are fundraising for. It gets even a little harder when it is the 3rd year in a row you are fundraising. But my family and friends are the best and they support me year after year. I am truly blessed! This past week I send messages to all of my friends on Facebook. I have 251 Facebook friends. There is potential for a lot of donations. Every person that donates to me that I am friends with on Facebook I devote my status update to. I thanks them (and tag them in it). I feel this is the least I can do especially since I won't be sending official thank you notes until after the walk. So if you are reading this and you have already donated to me than THANK YOU! It does not go unnoticed. I will continue to fundraise even though it can be hard to ask for money b/c hopefully someday I will not have to raise money for MS anymore . . . when there is a cure!!!!!! If you would like to learn more about Multiple Sclerosis or the Boston MS Walk I am participating in go here. Did you know what today is? Today is NATIONAL WEAR RED DAY! The American Heart Association created this day to raise awareness about heart disease among women. While MS is awareness is where the majority of my efforts go that doesn't mean I don't think about diseases and heart disease awareness is so important. So today in honor of Wear Red Day I wore my RED!!! Did you? I only ended up working a 1/2 day today b/c I really wasn't feeling well. I basically feel like I have a really bad head cold which I am sure you can relate to. When you feel that way the last thing you feel like doing is work. So I came home to take a much needed nap which was very helpful. So don't mind that I don't look my best in the above photos (give me a break I'm 48 hours post-op). Just wanted to show off my RED!! If you would like to learn more about National Wear Red Day or Heart Disease go here. This is my first time visiting your blog and I just have to say- you are one inspirational person! I love your idea about the Facebook status for every person that donates. Congrats on raising so much for such a worthy cause! You found my blog the other day and I wanted to respond to you comment but you don't have emails enabled so I just wrote my reply here hope you don't mind! You are the first blogger I have met that has MS! I was so excited to have someone found me that has MS. I was wondering if you would be willing to write your story for me and I could post it on a Tuesday for my MS post. If not I totally understand but I would so love to read your story. If you have any topics as well for my posts I would love to hear them. I am out of topics lol. I hope to hear from you soon!!! I just found your blog through Lucy's bloghop. Congratulations on your amazing fundraising effort! I hope you are feeling well after your surgery. I have some similar symptoms with my ailments. (muscle spasms,neuropathy, etc) and they always feel worse after I've been through some sort of physical stress. I'm a new follower and I'm looking forward to reading more.